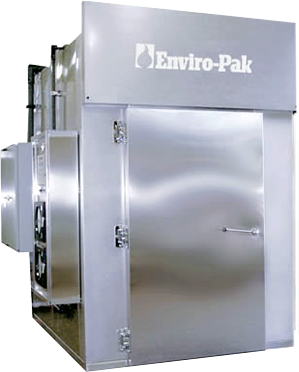 with Enviro-Pak's versatile food processing ovens, smokers, steam cabinets and chillers. Chances are, we have seen your particular processing challenge and have a solution. 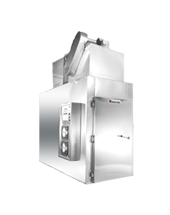 The Mini-Pak Series of vertical airflow units are a perfect fit for delis, restaurants, grocery stores, small processors and for research and development operations. 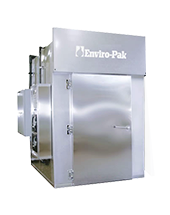 The vertical airflow units of the Max-Pak Series are available in electric, steam coil or gas heated options. Their capacity starts at 500 pounds and goes up from there to a 4,800 pound capacity unit. 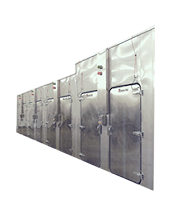 The Shelf-Pak Series has unique side to side reversing horizontal airflow for greater uniformity at higher production. This series is designed for all products that are best processed on screens. The Ultra-Pak Series units are available in 4 to 30 truck models. Available in vertical airflow or horizontal airflow. 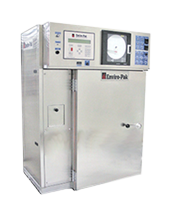 They can be manufactured in batch style, flow through operation and indexed travel.